Do you work for Docker? Ability to set up an entire environment vm from a docker instance! It is a bit difficult to set up a fully working docker command-line tool on a Windows machine. If you need to spin up vms or set up instances / environments, docker is your go to solution. Online forum support is plentiful. Not needing to set up a machine development environment from scratch each time. Super time saver in this case! This is great for on boarding new employees, but also to create sandbox environments. Learning about Docker? We can help. "It's XXI century guys - just use Docker!" Docker is a leading container platfform applicable for any type of IT task. If you are developer you can easily run your software inside dedicated container without worrying about tipical syslop tasks and configuration. If you'r responsible for large microservice system deployment you can run it with docker and some additional orchestration solution like DC/OS, AWS ECS or Docker Cloud. Docker guarantee scalable, reliable and secure runtime environment for your daily workflows. Thanks to Docker Hub and literally thousand of pre-burn images you can run almost any software in the manner of minutes or even seconds. It's actually nothing to love about docker. Only problem that i encounter so far was with vulnerability scanning inside docker containers but right now it's solved by Docker Securiity Scanning available in docker cloud. Doesn't matter what you do - try using docker. You will find place to use it and you will be amazed. We've migrated wholl our environment, more than 100 virtual machines and about 400 apps into cloud and run them inside docker container. No more hardware failures, sleeples nights, HA build 'by design', application separation ... every sysop dream! "A great method to isolate applications"
One of the features that I like most about Docker is an open source platform. Among the main advantages of this platform it is mandatory to highlight the way in which it isolates applications and their requirements, so that their instances start quickly and are very portable. It allows to use for example different operating systems, or different versions of the execution environment of the applications according to the dependencies of these, being able to execute all these applications on the same host without causing conflicts. The administration of the containers and their layers is simple, and speeds up the deployment times of any project using very light virtual machines. Another advantage is that it consumes very few hardware resources. Finally, note that the use of Dockerfiles is very useful and intuitive when building custom containers. It only supports 64-bit architectures, plus it requires a Kernel version of at least 3.8. Generally, you can not draw many bad conclusions about Docker. I recommend Docker for developers or system administrators whose applications or deployments have certain dependencies, or in the case where you are virtualizing with less portable methods or that do not isolate the deployment of the applications. Through Docker, we have solved problems of dependencies of applications that for example we could not update, and that depended on old operating systems or outdated frameworks. "Docker has revamped our team's workflow!" Docker streamlines many aspects of our workflow: from development to microservice deployment. Docker is everything a VM is not. We even use it for creating simple static websites. It plays very nice with continuous integration/deployment tools like Jenkins and Teamcity. Although not directly a flaw of Docker itself, we have had some difficulties with the shared volumes functionality. It is a bit difficult to set up user permissions for mounted folders. We want this for our development workflow. Use it! The learning curve is not bad at all. Everybody knows Docker excels at setting up consistent, reproducible, environments, so i'd like to highlight some of the more subtle niceties instead. Speed. Getting up and running with a new Docker-powered project is fast. Developers can shared docker images, wire them together, and produce working prototypes in a matter of hours. For example, you can deploy a production-ready wordpress site with a single docker-compose file! I like that there are plenty of Docker images and that I do not have to install a bunch of programs to run a program, especially if I just want to try it out. I use a lot of programs for genomic assembly and analysis. Docker allows me to save some space on my computing cluster by only using a program as needed rather than installing it and consuming valuable space. I don't like that sometimes programs are out of date and sometimes, I cannot open a Docker container due to some background issue. Also, it did take a me a bit to learn how Docker worked, but I learned fairly quickly. Mainly, though, I dislike that I didn't know about Docker sooner. I am able to test out programs without having to download a bunch of stuff and take up precious space on my computing cluster. "Dock IT and forget it"
Docker has saved us thousands of hours in patching and downtime. Spinning up a virtual instance in our SaaS environment was always a challenge, Docker made it possible. From Dev -> QAS -> Sandbox -> Stage -> Prod it has saved us time, money and possible embarrassment. A few small issues but takes a lot of time to work around. The Docker images are somewhat stateless and creating persistent storage is extra effort. What is dislike most is to answer the question: "What is the Future of Docker?" when I get asked by our internal sponsors. It doesn't seem as bright as it was 3 years ago. If you are still in the planning phase and haven't implemented Docker yet, please know the future before you start deep dive discussions. In a SaaS environment, there are hundreds of VMs in several data centers we operate. Patching it every week, month, quarter and year was painful. We brought in Docker and since than weekends have been relaxed. It has saved time, money & effort. "The base of everything nowadays"
It's really simple to get started with (when you already know some linux) and it provides lot of advanced features to simplify managements. In Windows environments docker doesn't work as good as in unix. And windows containers also aren't at the same level of unix containers. Start with the bare Docker, and move to Kubernetes to improve even more the automatization, simplify scalabily of services. Currently I have my environments containerised so deploying new applications or tools, as well as update versions are really simple. Also I can have all the environment in repositories with version control. So any modification is registered, and versions can be reverted. "Amazing experience once it is up-and-running"
The Docker Compose feature within Docker is by far its best feature. You can spin up a large number of containers and environments with Docker Compose, and all it takes is one single configuration file. The worst part of Docker is that it has a steep learning curve. If you have nobody to help you learn, you will have to utilize the online documentation in order to learn how to fix your errors and write the configuration files. It may take you weeks until you can have a fully-functioning Docker environment, depending on how many microservices you need to run. If you know someone who has used Docker, then make sure to consult them with issues before using the online documentation. Docker allows our development team to develop code in an environment that is exactly like our production environment. This speeds up development time, makes it easy to debug environment-specific bugs, and decreases the time needed to migrate code from development to production. "Docker is awesome, but continue support for windows images"
Ease of use to create and deploy containerized services/images. It is easy to install and use. It is a great tool for deploying a whole lightweight environment, with minimal setup. It is supported on almost all popular operating systems. The documentation for docker is very well done. I also like that is it open source. Windows images are much bigger compared to linux ones, and there are some limitations to running windows containers. I don't like how you can't use virtual box wile running docker. I don't like that you have to reboot/restart docker when switching between windows and linux containers. docker is the industry standard right now for containerizing services and deploying standalone images. I highly recommend it. Documentation and getting started guide are well done and easy to understand. deploying many microservices across an enterprise for service based architecture. This helps us deploy and version our individual services as we develop each component individually, rather than on monolithic application. Docker has helped us modernize our development approach and keep up with industry partners. "A very great tool to have your development environment ready to start to work"
It's open source. It makes you able to have a self-contained of an entire platform to run, test or develop a specific application. To work in a team is the best option because you and your team don't have to be worried about if you have different versions of libraries or languages or servers or operating system, all your project needs are going to be contained in the docker image. Taking into account that you don't need a Virtual Box or another machine virtualization system is another big advantage over similar systems such as Vagrant. It has a lot of plugins to give you more features, for example, docker-compose that is a plugin that allows you to define a file where you decide the images (Multiple containers) you want to be in your application platform, who and how is going to be linked with, define the service ports that are going to be exposed to use them out of the container. Another useful plugin could be docker swarm that allows you to have persistence of data in volumes, or outside containers. - The support for MAC is not native. - It doesn't have a GUI to help the user be able to use easily without learning commands and how to define a dockerfile. It allows to be more proactive due to the developer's team because we only need to be worried about programming our project, we don't need to be worried about what version of whatever I need to run my application, or if I need a different version for another project. It's very fast to start a new project. "DEPLOY AND RUN YOUR DREAM APPS.."
I'd say that docker is a tool that is particularly designed to make it easier to create, deploy, and run applications by using containers. Its an amazing tool in itself. As far my views are concerned it's a bit like an virtual machine but with the distinction that it allows application(s) to use same Kernel as the system that they're running on. Further it's an open source and hence extending its exposure to the developers and system contributors all round the world. Well as far as my views are concerned I haven't had and still don't have any reason or concerns about it that is counted as the reason for disliking it rather I'd say its an amazing container based tool with plenty of security features and tools available making it a worth having one. Have it and you can do wonder with its amazing benefits and features provided along the way. Well first I'd like to state that running applications in containers instead of virtual machines is gaining momentum in the IT world and the change that it bring about is exceptional. Now, the flexibility offered by Docker containers means that engineers can focus on delivering a product to their customers. And yes we are doing the same and focusing extensively on our business models because we have the support of docker on the go. Docker is and has been really helpful for us till now. Cheers to the docker team. Not much to say about Docker in cons. It differs in various development situations. Docker is perfect both for developers and/or enterprises. I highly reccomend implement docker in any organization and get certification / training implementing docker. "Docker on of the best Containers "
Docker is free fora basic subscription, which is a hosted platform that allows the devs and SA (System Admins) to develop and manage their apps with the Docker container. One of the advantages is like is that as a developer I can within my apps without the need of committing any additional hardware requirements or even spinning the virtual server. Moreover, another advantage is to limit the number of troubleshooting to get all the parts of IT infrastructure to work together. what I like about Docker, since it is only used for applications, there isn't any underlying layers i need to worry about, i can just go ahead and start working with my app in Docker. And the last feature i like about docker is that Docker is setup to work with two source code hosting services which are GitHub and BitBucket. It is a learning curve for those who do not have knowledge on how to use Linux bases environments, Which does take up much of you time to learn OS. For other who are wanting to use Docker, Please learn the manuals and the tutorials. Also, Be familiar with using Linux. For Example, learning the basic Syntax in the CLI. One of the business problems i am solving with Docker is the ability to deploy, manage, and deliver the App within my Company. Couple of benefits i have realized are that; A newbie like myself learning Docker is amazing, i have the ability to use the CLI (Command Line Interface) which I can execute syntax. Secondly, As a SA (System Admin) i am able to manage the application that have been developed by other devs within my company. Docker made containers easier and safer to deploy with a much more standardized container system. Allows my team to deploy to the cloud easily and scale on the fly. Containers are where companies should be moving to and docker makes it easy, I highly recommend it. My only issue with docker is that persistent data storage is very complicated since when a container shuts down all that information is gone unless you figure out with docker data volumes which are not easy to work with one more thing is its command line is boring, long and one big downside is that Docker need to download the essential files of the selected operating system in container, so if you want to keep synced your Docker image between two computers, it is a big pain. With Docker, developers can build any app in any language using any toolchain. “Dockerized” apps are completely portable and can run anywhere - colleagues’ OS X and Windows laptops, QA servers running Ubuntu in the cloud, and production data center VMs running Red Hat. Docker helps developers build and ship higher-quality applications, faster. also developers can automate their build pipeline and share artifacts with collaborators through public or private repositories. Docker helps sysadmins deploy and run any app on any infrastructure, quickly and reliably. Mainly productivity.Docker containers are an evolution in software development when we talk about deployment and continuous integration. Dockers images isolate dependencies and are easy to manipulate through different types of environments during the software life cycle: development, testing, continuous integration, deployment and rollback (hopefully not necessary :). Easy to use, simple to configure, maintain and update dependencies. "Consistent environments for Dev/Test/QA/Production, quickly-moving ecosystem"
Docker is the hot-button topic in the technology industry these days, and for good reason. The underlying technology is not new (Linux containers, cgroups, namespaces), but the tool's user experience has made it popular. The Docker team really focuses on ensuring a great user experience, making things easy to configure and customize. The "batteries included, but swappable" philosophy is fantastic - everything you need is there out-of-the-box, but if you have special requirements, you can use a custom driver to get what you need. The external ecosystem is unbeatable as well, with cluster management solutions like Swarm/Kubernetes/Mesos. Red Hat's OpenShift PaaS is built on Docker. Docker is moving quickly, so there are often cases where there doesn't seem to be any good solution to a problem. For example, persistent volumes across the cluster were a problem. Docker (and other earlier PaaS solutions like Heroku) have long recommended stateless services, which is great for a number of reasons (providing higher scalability being a key one), but this left some very stateful services (like databases) out in the cold. More recently, Docker's volume plugins allow for data to be stored in clustered filesystems like GlusterFS, allowing containers to be completely portable between host machines. Combined with Software-Defined Networking features powered by Open-vSwitch, Docker containers have achieved a level of portability previously reserved for VMware installations. A key problem many organizations face is being able to create reproducible environments quickly and with low footprint. Many were accomplishing this with Vagrant and configuration management tools like Ansible, Chef, and Puppet, but the virtual machines were inherently stateful. Operating systems needed to be maintained, and it was difficult to guarantee that developers were running their code in the same environment that UAT/QA, Staging, and Production environments were using. Docker allows for consistent environments, making it easier to reproduce problems and avoiding the common case of "works in production, doesn't work in development" or similar. The image build time could be slow. It could be mitigated by property designing the Dockerfile. Docker gives you a very light weight containers with the runtime dependencies packaged inside it. With Docker, you can start any application in few seconds / minutes depending upon the image size. Images are reusable in which there is a very good concept of base image and then you built layers on top of that. The idea behind the image layers is very awesome which helps you not to build the whole image from scratch. It uses a diff b/w/ the layers. They are easily shippable and documentation is very good. Performance and the speed is very good. There is nothing i dislike about docker but the disliking part is about the community that they have dropped supporting Docker swarm and promoting kubernetes / rancher. Docker is a open source tool and it gives you an ability to build micro-services architecture based applications which are easily scalable, and reactive in nature. There are various gitter rooms and community rooms where there are lot of people available to help you on the issues you face. We are trying to containerize the micro-services which should be scalable, flexible, reactive, light weight. "Great tool for building containers for software solutions"
Docker has made it easy to jump from zero to production when setting up software applications. Time to seeting up a server can be as little as a few minutes. With docker Its easy to manage resources on servers as containers can shae the same infrastructure and use resources on a need basis. Its also easy to scale servers as it takes mere configurations to spin up a new node making easier to increase availability of solutins. Docker is also easy to learn and the community is large enough to make it easy for teams to create their own containers. "Revolutionary idea based on software containers"
The easiness to download Dockerfiles, and to run them. DockerHub is a great place to find containers also. I like that the process separation is via cgroups, so it is not that heavyweight as virtual machines. I also like the integration with Ansible, so the build process is just an "Enter" away. There's almost no rivalry to Docker, so better to learn it if you're doing DevOps! Right now at our company, we have deployed an Odoo server with two containers. One for the web, another for the database. The benefit of this clearly is that if we want to update Odoo to a new version, then we will only have to update the web container. "Great way to move towards containerization"
Docker is one of the best containerization tool out there. It has a great feature of creating platform independent software VMs that run as a container and uses internal kernel features namespace, resource isolation, cgroups, etc. All these can be accomplished by building images using simple to write and read Dockerfiles. Although Docker provides a way of containerization, it does not give a great way of orchestrating them. We do have an option of using Docker Swarm but it has a very high costing plus it does not have monitoring feature internally. We need to rely on external monitoring tools and pay for them as well while tools like Kubernetes have Docker support, does container orchestration and provide monitoring through Grafana as well. We moved from monolithic architecture to Microservices with the help of Docker. We were able to cut down on cost of managing large scale enterprise VMs by separating large application into small modules and running them in clustered containers. "Docker is an awesome and perfect container system"
Docker is safer to deploy with a consistent container system. With just a single command, i set up Php and Nginx with Docker.The best part of it is, its simplicity.It is quite better than using a virtual machine in virtualBox because it is extremely configurable.Docker works on any device allowing all employees to make their own preferences for better productivity. Sometimes i find difficult to open a docker container, may be due to some background issues.To start Docker Containers, it don't have comprehensive guidelines and therefore different containers may take different skills to implement.One thing which i dislike the most is that the containers share the same kernel and is less isolated than VMs. It is very useful and having a huge variety of apps that are ready to be deployed on your local machine.But taking some time to properly use it, is very important part. 2.Same environment in different machines. "Amazing technology, cost savings is fantastic. " The technology is amazing, it allows us to take advantage of Containers to create a disposable, immutable and consistent infrastructure for our teams of Developers. The user experience of using Docker and the related workflow is fantastic. The ecosystem of Docker is extensive, which allows us to invest in the use and construction of tools that drives our continuous delivery line. The simplicity of the product is the best part of the overall experience. The pace of innovation at Docker and the related community allows us to focus on providing a better development experience at all times. The alternative solutions that must be followed in relation to the functions that are still missing Better compatibility with IPv6 Better local storage persistent in the nodes of the cluster Automatic scaling of services Automatic load balancing of the services in the cluster nodes. The technology behind the product. It permits deploying and manage services faster, better and easier. It's recommended to use this product with its versatile features. As we were relatively new to Docker containers, we first deployed applications in independent Docker containers, understood the architecture and benefits of conventional virtualization. Then, we would deploy in Docker Swarm Cluster in a development environment before going to production. the results were excellent. "Probably the best thing that ever comes out since Excel"
It allowed me to create a server without spawning a full VM (which, for development purpose is very heavy) - what's not to like about that? Slow if you try to run Docker inside a VM. Probably an unusual use-case, but some dev actually do development in VM. The only time you need to re-consider using this is if your dev is developing inside VM with different kernels (example: Windows VM inside Linux host), it's very slow during startup. By slow, I mean like 10-15 mins startup time which is horribly slow. Like I said before, having a server created without a full VM and all its maintenance things is THE big plus for dev. "Virtual machines without complex process." Docker mainly serves to create a machine or a virtual server, but, it is important to emphasize, that Docker is not like other platforms, since this one in particular, provides each user with a very nice interface, very well organized and arranged, and It has functions such as a good storage space in the virtual machine and access to it when necessary. I would like to be able to access our Docker virtual machine, through different devices, such as laptops, mobile phones with Android and iOS, it would be a good way to expand the functions that Docker has. I recommend taking Docker into account, for a better experience with virtual machines in your company. Docker offers a really stable platform, it is fantastic to be able to access our virtual machine without having to have such a complex and long process. Also, it offers a good storage space, capable of having a better experience in the virtual machine. It is so nice to be able to create a virtual machine just a few steps as Docker offers, it focuses on offering the best functions, to create a virtual machine, configure it and get rid of it when necessary, also, it offers speed mainly so that the user contains a principle of comfort at all times. I consider that Docker has been designed to fit, providing a comfortable design. I have noticed, that one of the biggest features that affects Docker, are the benefits that the plans bring with respect to the storage of it, it is very bad to have to pay a sum of money to just provide a bit of storage space, I would like that offer much more space. I recommend making virtual machines with Docker in your company. Docker allows me to make virtual machines with much more freedom, without having to go through long processes that lead to the same result. It has allowed my team to achieve results based on good storage and everything in the cloud. Containers are the place where companies should move and Docker makes it easy, Docker works on any device that needs it, to allow all employees to use the machine that best promotes their creativity and productivity according to their preferences. I love how easy it is to set up a virtual machine, add one and also get rid of it. The principle of pulling virtual machines away if they are no longer needed and building them when necessary is a delight, you can also create your own images based on those of one or more available in the hub. You can also create your private center to store private images of your software. My only issue with docker is that persistent data storage is very complicated since when a container shuts down all that information is gone unless you figure out with docker data volumes which are not easy to work with. We recommend docker as a service to grow your business. Docker made the containers easier and safer to implement with a much more standardized container system. Allow my team to easily deploy in the cloud and scale on the fly. Docker allows us to create an image of a code repo and deploy it through environments. The best feature of docker is the immutability of a docker image. Once it is created it can not be changed, so you know that your code will be the same in the test environment as the production environment. Docker can be a bit cumbersome to use and has a steep learning curve. Almost everything is done through rather cryptic command line tools that are not entirely intuitive. We solve our deployment problems. Docker lets us be as consistent as possible. "Better than running a virtual machine in VirtualBox"
Docker container is not standalone, means you can't run it instead of an OS. Just use it. It's easy to setup. In my case, I have a shell script prepared by another developer which I run to deploy the application. So no hassle for me. I am using docker as a local development server. It's easy to setup on every system with a mere Docker script. In the script, it is specified which applications should be installed and how they should be configured. Then it is just a matter of running the docker command and your system is ready. Thus, the developers who are not experienced with operating systems, doesn't have to worry and focus on only what they are good at. Docker for Mac is extremely slow when mounting volumes from the host system into the container. Currently we've been using Docker for testing our application. So far we've been benefited by the use of Docker there in terms of the speed and ease of repeatable tests. However, we are increasingly using Docker to drive our application development process. We have been experimenting with one of the applications for now and the developers are happy already seeing how the prod-dev parity could be achieved so easily and from within the comforts of their beloved development machine. "Great tool, difficult to master." The ability to define a standard environment for my application server, easy to share, test and deploy. Even easier life cycle using compose and getting advantage of named volumes. Now it is widespread enough to find many third party tools and services that works with it, adding more value on top, such as: continue integration tools, cloud application services, application container management and quality compliance tools. Learning curve is somehow hard, and there are still differences on how it runs on different host machines, like non-Pro versions of Windows. New users tend to struggle to set-up Docker on their machine and understand how to use it as replacement of their usual development local server. Sometimes misunderstanding what it is meant for can lead to "hackish" use and dissatisfaction, bouncing potential users back to their comfort zone. For web development, is easier to start using it with docker-compose, as it allows to grasp the interactions of containers by reading the yaml configuration and you can easily play with it, changing the parameters and experiment what happens. Understanding how volumes works, especially named volumes, and service linking, will make it easier to begin making simple yet productive use of this tool. If your application is not stateless, you won't have the opportunity to simply deploy your app in a scalable infrastructure, which is one of the great advantages of managing apps as containers. Used to have problems when moving an app from the development environment to the staging and production ones. The development environment used to have a different OS or just different software versions, and usually polluted by configurations/versions used for others projects. Since the adoption of Docker the deployment life-cycle became more predictable, easier to automate and evolve. Docker allows working between applications who remain independent, but now connected as well. Developers are able to reach their maximum potential with each program, and Docker creates a model for better collaboration across all of our teams. Docker works on any device we need it to, to allow all employees to use whichever machine facilitates their creativity and productivity the best per their preferences. It was not as easy to integrate into our business as Docker claims. It took multiple days to implement the software, and it was difficult to learn how to collaborate between developers and IT staff. The IT staff was not pleased with this implementation attempt. Docker has a safe environment to allow you to work between applications and infrastructure and allows for better innovation and collaboration. It is not as easy to integrate into current systems, despite Docker's claims. IT staff and developers have stated that using current software in the Docker hub was not as seamless as Docker had promised upon implementing. Support is amazing, and willing to do everything it takes to make sure the product is up and running as it should. The customer service is extremely professional and friendly. If my IT staff and developers could get on board, we would recommend this product for customer service alone. Allowing developers and IT staff to work together while using already developed software. Neither team was happy, but the product worked aside from the difficult implementation. - I don't have to install any software. Everything is dockerized! - I can run multiple copies of everything for scaling. - Containers start instantly. So fast. - After I delete containers, no residue is left. It is truly a sandbox. - Docker perfectly manages its storage space. If you are downloading two similar images, docker would only save the common parts of those images once. - Docker is ever-growing. This is the future, and development is very active. You get new updates very often, and you can tell that they are moving in the right direction. - The concept of containerization as a whole is so supreme and powerful, that you are really missing out, if you have not dockerized your applications yet. Docker has really redesigned the whole pipeline and deployment game. - Lots of configurations to get some containers running. - Containers don't have generic guidelines to start. Different containers take different skills to get up and running. - Sometimes, the containers may die. Though this is not Docker's fault, it is application fault. - Around 5-7 containers, my machine starts to give up. - I don't like Kitematic. It can be more refined. Currently it doesn't even show logs properly, and is slow and brittle. - Docker itself is small, but not all applications built inside docker are small. E.g. Just adding a language and couple of libraries would increase your storage significantly. This is not a docker fault per say, but not all applications have been re-worked to lower the memory and storage footprint. Just use it. Everyone else uses it, and for good reason. We wanted to treat each application as a box, which can be transported from one environment to another. Docker is the perfect solution for this. It has made our deployment so much faster, and our pipeline so much cleaner. "Docker the only container solution you will need"
I love that Docker not only does containerization well, it makes it easy. With all of the tooling they have released it is a breeze to dive in. The community is amazing, for support as well as coming up with external tooling based on the Docker containerization technology. I did dislike the lack of first-class support for Kubernetes, but they have recently released support for this orchestration technology. So, I am very happy with the changes in this area. I definitely recommend installing all of the command line tools and really understanding the core concepts of containers, images, and how Docker's virtualization takes place. From this point you will have a great vantage to be able to implement as to your needs. Once you have solid footing here, check out Compose. We are solving scalability and availability issues by leveraging Docker for containerization. We then apply orchestration and self healing techniques on top of that. "Docker is Invaluable to my Development Process"
Docker is a lightweight and and faster than using a VM in my development workflow. Because Docker runs on Mac/Linux/Windows it has proven to be the most important way to experiment with new technologies and is integral to my development CI/CD workflow. Though this is not Docker's fault, I would like to be able to run a native macOS kernel instead of a linux one. Apple needs to embrace this as part of their ecosystem and support the community on this effort, much the way Microsoft has. Initially the Docker/Container concept may be difficult to wrap your head around, especially into regards to it's value. My recommendation is to install it, and try it out. Once you have deployed multiple services and are running them on your machine, it will be hard not to imagine the possibilities. First and foremost I am using docker in my development workflow. It has sped up my development process and I am looking forward to further integrating into my workflow. I am also using docker to experiment with other services without polluting my development environment. It also let's me try new versions of services I already use before I commit to upgrading. Provides best solution for deploying web services.Ease of use for integrating and deploying docker.Eazily modifiable and many other things are best about docker.We are using docker since many time and we are really grateful to this free service for many of our services deployed using docker. Nothing to say because when you compare a container and a VM you find that container is the state of the art technology which is far more advanced than a VM and talking about docker,it is the face of container. Very much recommended for deploying web services with ease and advance technology. We use docker for deploying Linux based web services on the cloud platform. "Cumbersome, but useful if you're very good at it"
There's a lot of great tooling around docker because it's so standardized. Mesos and Marathon, in particular, work quite well with Docker, and Docker hub is great. Docker container are enormous, bloated, and slow. A "Hello, World" Node.js container will be upwards of 650MB and take an eternity to build. Also, Docker solves the very easy problem of running an application in isolation but doesn't have a solid story about running a fleet of applications. Also, dangling Docker images cause regular disk space shortages and its tricky to manage them. If you're already skilled with Docker or hired someone who is an expert with Docker then I'd say go for it. But learning Docker is a tedious and painful process, and managing it in production without several years' experience is a minefield. Consider whether you really need Docker or you can just build statically linked binaries. We just wanted a turnkey solution to run several applications from a GUI, so we adopted Mesos and Docker was the easiest way for us to get started with Mesos. Docker absent Mesos would be pretty useless. If you want to make an image of any backend language (Java or node) docker is one of the best way to that. Pretty easy and super past. There is nothing i dislike about docker except better ways to use docker is CLI. Docker is a open source and easy to use. There is no reason a company shouldn't try docker. Independent of cloud environment, docker images is one of best options out there. "Ship Your Code as Ready to deploy images"
Docker is an amazing tool, if you want a highly scalable application. 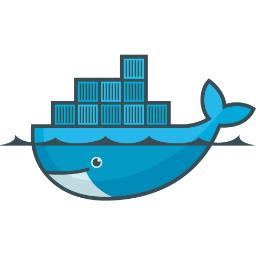 It encapsulates your code into docker images which can run on any linux system kernal. You do not need to worry about your environment, as environment is contained in the docker image itself. Great if you have applications whose environment can interfere with each other. For example, one of your applications uses java 7, while the other one uses java 8. You can run both application on a single system by having separate images for both. You need to create docker image from your code, even if your code have a single line of change, whole image needs to be rebuild. We deployed over Python application using docker and amazon ECS. "Takes the pain out of your deployment process"
2. You can run tests against the same image that will finally run on the production server. 3. Very easy to maintain environments for the application for the Ops team. 3. The containers share the same kernel and are therefore less isolated than real VMs. 1. Its a long process; so do your analysis before jumping in. Its cool to talk about continuous integration/deployment; but its also important to understand is that the right approach for your use case. I have seen companies start and abandon after spending months of effort/money because its hard. Use container for insolation and build application with out being install and setup all the environment, just do once and copy to another systems. Have a composer makes simple do the stuff, you can have all well organize and just run docker-compose up -d and run all your scripts, deploys or any task you will use and you don't want install on a new machine. Sometimes can be painful know all the details, know all the networks scheme, and when you want execute one program from one container to another. Try, enjoy and learn, is a new world for your apps, and very useful with correct idea. scalability, make different environment simple and all unified, as well to have some local environment by default. I was able to develop a machine learning application on my local machine and then deploy it on a remote server without changing any of the source code. If the app worked on my machine, it would work anywhere with a simple pull from the Docker service. There is a steep learning curve to understand how everything in Docker works together. You will have to read a lot of documentation to get going and there are not a lot of machine learning tutorials for Docker. Also, Docker does not clean up after itself. Make sure that you get rid of any dead containers to save on memory and storage space. Deploying a machine learning API with Docker has been awesome. This API has had a positive impact on how our employees interact with our clients in real-time. "A new way to deploy an app in a secure way and without hassle to any environment." Docker containers are like a ready images of an environment that has a specific application installed within it. That result in ease of use of applications in different OS'es. Moreover, the OS system will not be affected by the application as the later is kind of isolated in that scenario.And that principle hardens the security. It it difficult to create and understand some elements of the complex container and docker system. It is the tool introduced by Google and every Google enthusiast should move to docker, I believe, as Google has done already. The business problems that I am solving with docker are deployment of applications to various environments and automation of deployments of applications. With docker, your able to run containers in a very easy way. You can browse image containers (system templates) in the container hub (central repository) and look for official and community images. You can try all sorts of software and services in a sandboxed environment, without affecting your system. You can also create your own images based on a scratch one or one available in the hub. You can also create your private hub to store private images of your software. Reproducing a similar environment (like development, staging and production) was never this easy. Most common software is available, others aren't. For those that aren't you need to create the image and that can take some time. But of course, after you create the first one, you can save it and share it with others. Also, networking between containers in different hosts is still tricky. By far, the best solution to ensure you have a consistent production environment, avoiding situations like "it worked in my computer". Reproducing the same environment in different machines, whether the developer laptop, a staging desktop or a production server.